This Sunday Sept 1 2013, in the Claddagh Hall, Nimmo’s Pier. 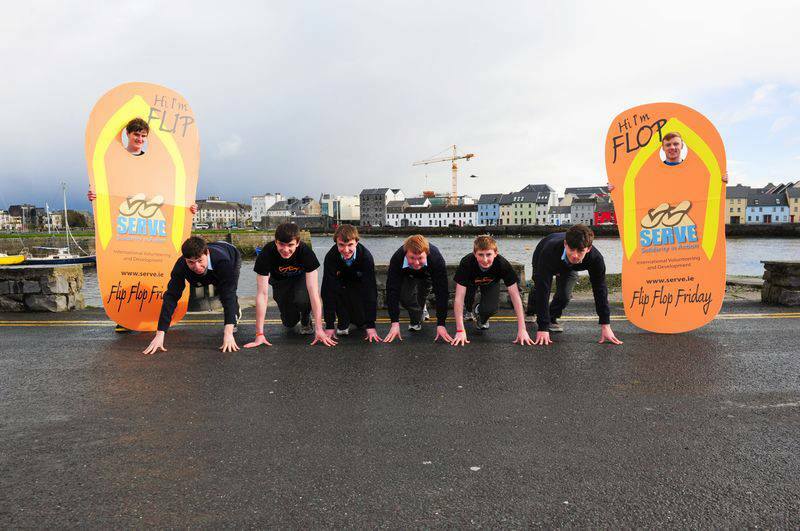 Galway needs to have 400 flipfloppers to break the record!!! It feels like this week they agree to celebrate the sport. Here’s a list of some of the events taking place in County Galway. Its first international competition with teams from all over Europe. Sea racing, family events and music. The race takes place in the Gort surroundings. Fuchsia leggins, big yellow sunglasses, big hair decorated with colorful hairbands…a bit too tacky? Think that it’ll be only for a bit of fun for this year’s Roundstone Bay 8km. “Retro running” is the theme for the 2013 race, so leave your shyness at home and let your imagination fly…or run, in this case. Not only the race will take place; there’ll be a DJ before and after the race and also later on in the evening the band Silver Circus will be playing classic hits from now and always at the Shamrock Bar , or if you’d rather prefer some trad music in any of the local pubs you won’t have to walk too much as they’re fairly close to each other so you won’t have to suffer if you’re in your night out high heels. And now the best part…Roundstone is a beautiful village in the coast of Connemara, belongs to County Galway and it’s about 77km north-west of Galway city. If the luck is over this side of the country and the sun shines you’ll be amazed of the breathtaking scenery around you. Walk around the seaside contemplating the turquoise beach (i mean it) is such a pleasure that it would be a shame not to give it a chance to drive up to this secret pearl of the Irish west coast…and maybe go for a deep in these georgeus waters before taking a stroll around the pictoresque village. 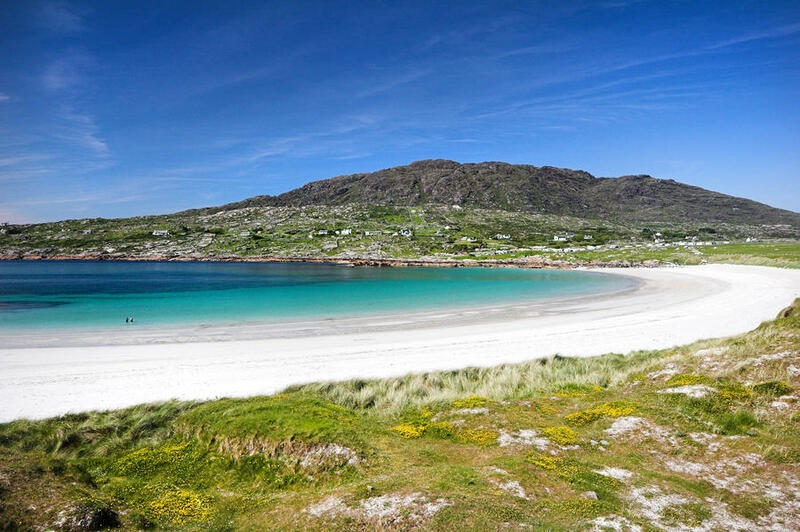 Roundstone is a little paradise…you won’t be dissapointed! Start Time for the race is 1.00pm on Saturday 18th May 2013. For the next two weeks, here’s something that’ll help you keep fit…or just have a good time trying something different, both in Connemara so you’ll have the perfect scenery as a background! The first one is The Connemara Adventure Challenge. 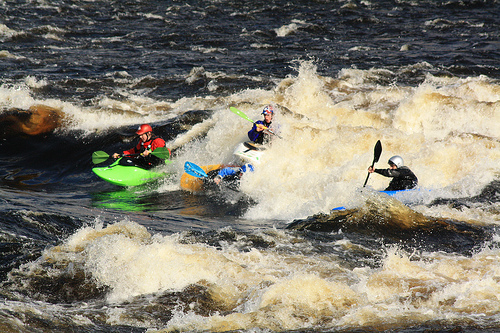 The race will include trial/ mountain running, kayaking and cycling, through 31 km open to all levels. 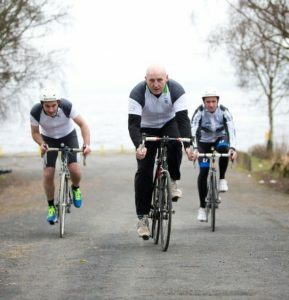 The next sports event is very similar as it’s a triathlon and consists of swim, cycle and run, and it takes place at Spiddal beach, Connemara roads for cycling and running around the pier and village. Olympic: 1500 m swim, 40 km cycle and 10 km run. Last year it was a success (they got representation of 29 countries) and all entries for ordinary competition for 2013 are sold out. You’ve still got a bit of time to enter the Connemarathon for this year…even for charity which is always a very good reason to run for. The road running/racing starts in Maam Cross, Galway, so wether you feel like doing some walking, cycling or driving around Galway this weekend, you can still do it and encourage everyone running the marathon while enjoying the beautiful scenery of the West of Ireland. If you’re a foreigner and new in this country you’ll be surprise of the well-hearted people in the island supporting any charity cause. In this case the sponsors of the Connemarathon are the charity organizations CROI and Cancer Care West. Includes transfers to and from, water bottles, sports drinks, portaloos, medical personnel, medals, T-shirts, and fruits and drinks when finishing the race.